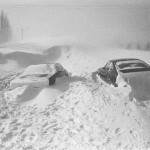 Weeks of harsh weather conditions leading into late January heightened the blizzard’s effects. Temperatures were far below normal and Lake Erie had frozen over by mid December. Due to a lack of typical freezing and thawing, the lake remained covered with powdery snow. 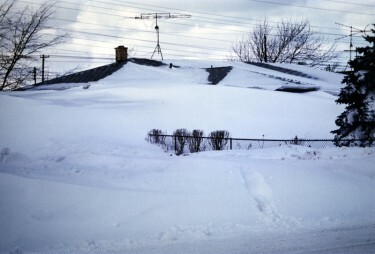 Prior to the day the blizzard started, it had snowed almost every day since just after Christmas. 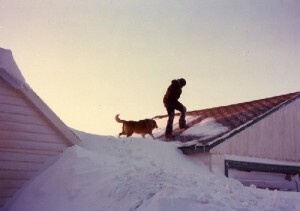 As hurricane force winds swept across the frozen lake, no natural barriers broke the force of the sweep so that the northeast shore areas felt the full blast of this natural disaster. The deep snow that had built up on the surface of the lake had not melted during the cold month of January so that ten thousand square miles of snow powder blew inland from the frozen surface of Lake Erie and buried people in their cars and homes. By the night of Friday, January 28, 1977, thousands of people were stranded in office buildings, schools, police stations, fire halls, bars, factories, cars, houses and in the homes of strangers. 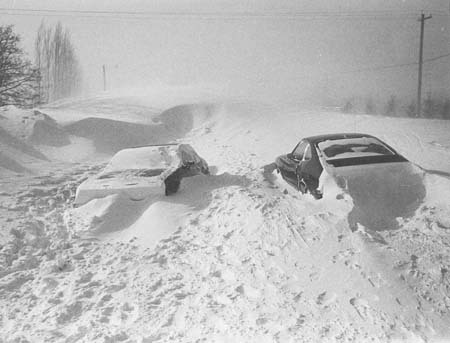 Most highways were impassable, train lines were blocked and airports were closed. Snow paralysis had set in during this unique winter hurricane.